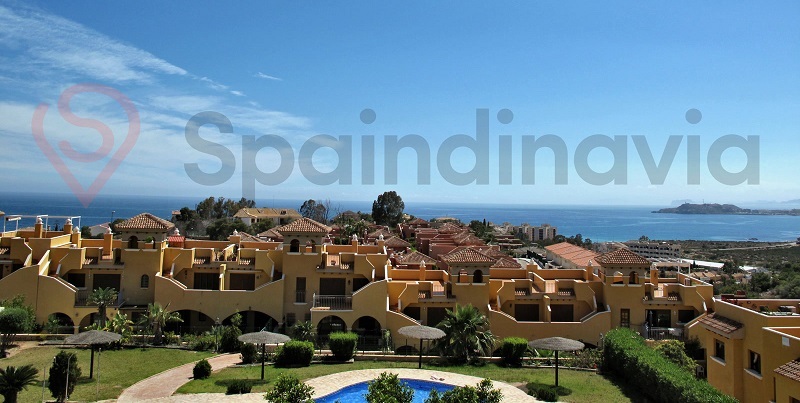 2 bed penthouse with seaviews!! 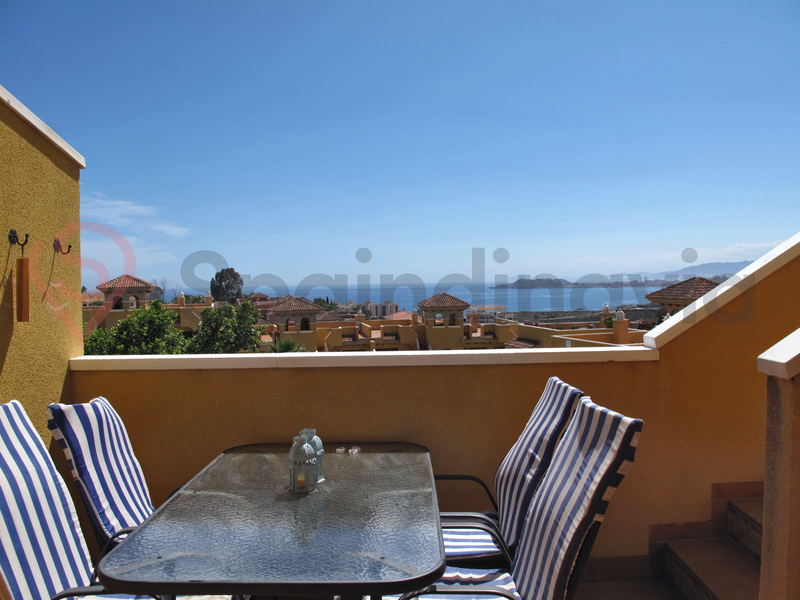 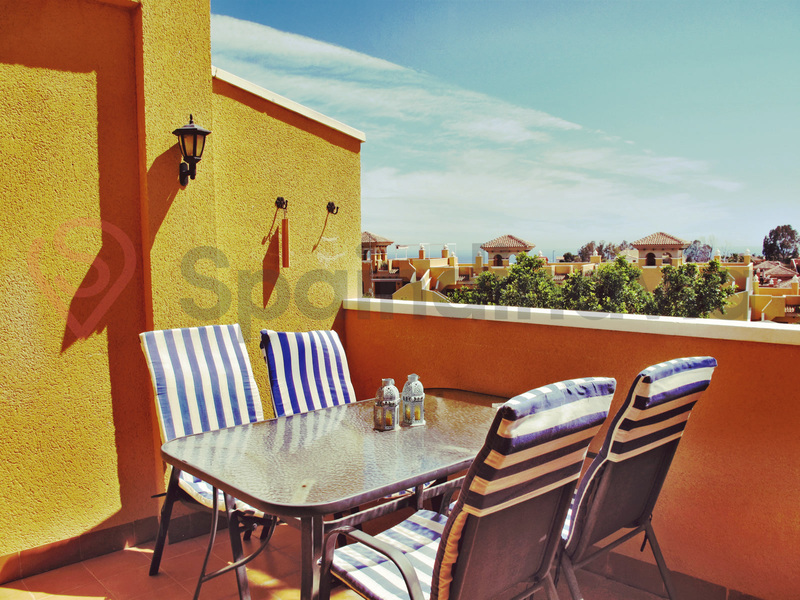 a very nice penthouse apartment with magnificent views! 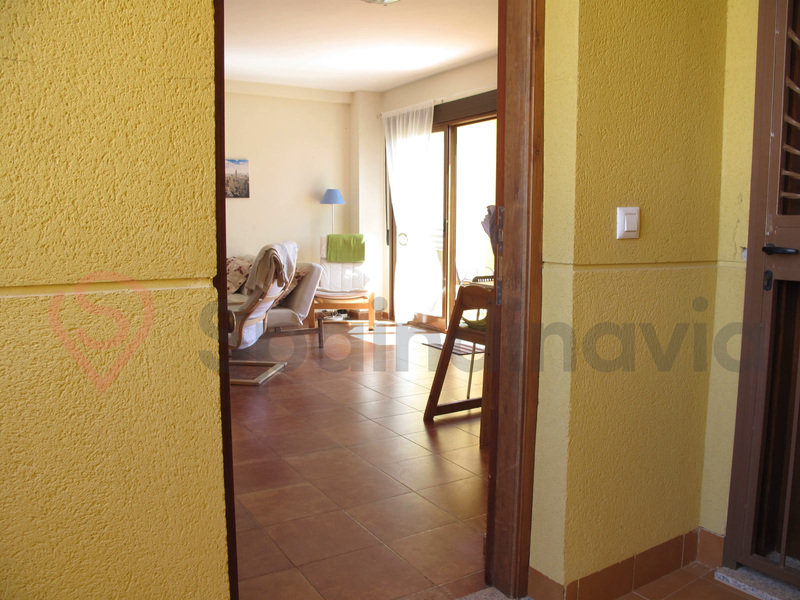 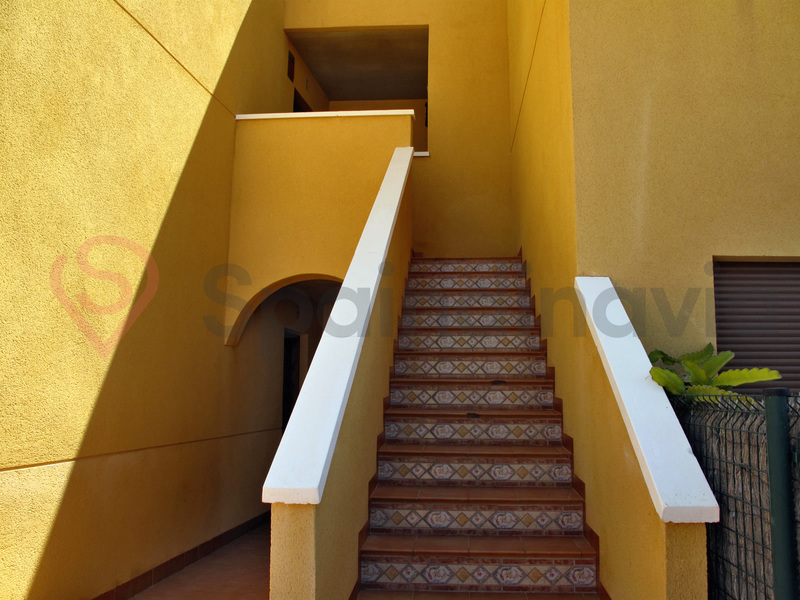 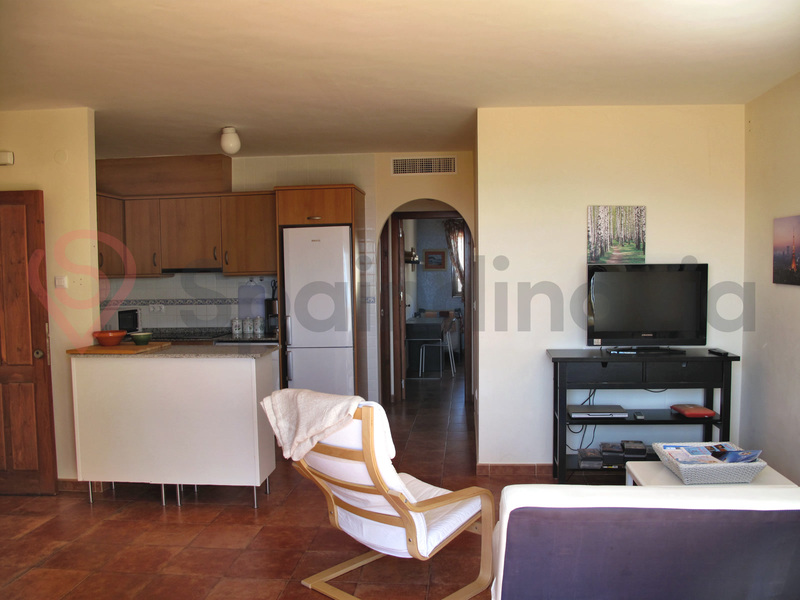 An incredibly beautiful and well planned apartment is now available in the popular Mojon Hills, Isla Plana. 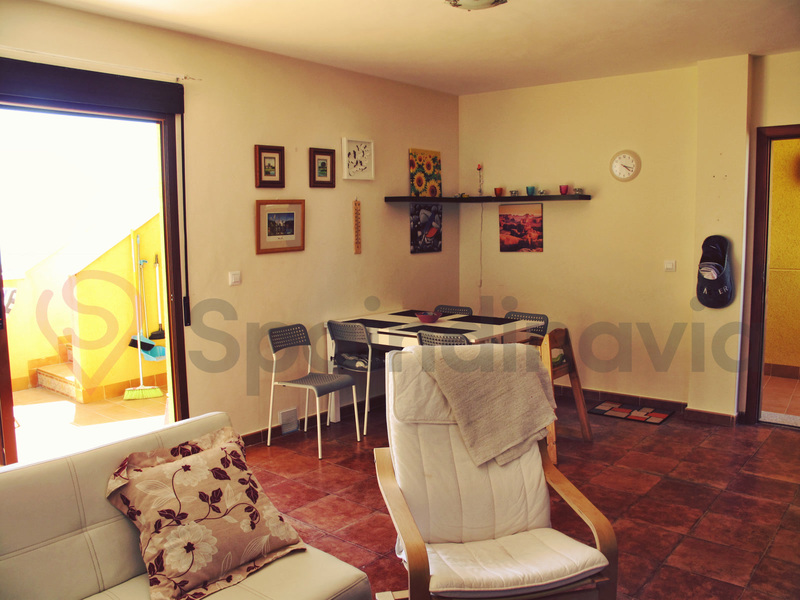 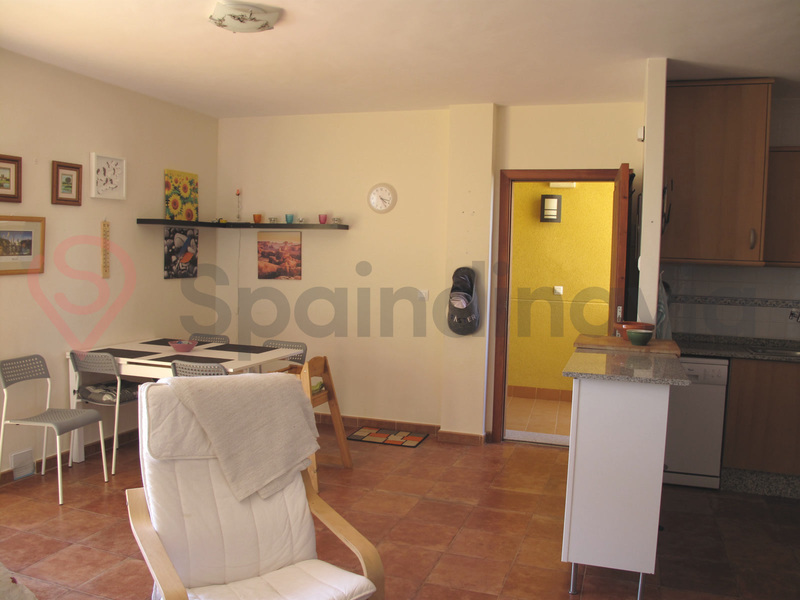 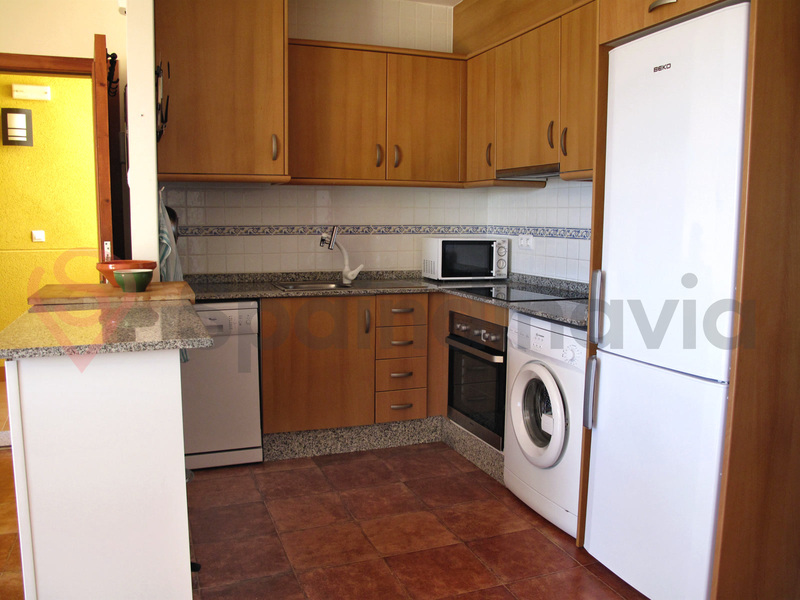 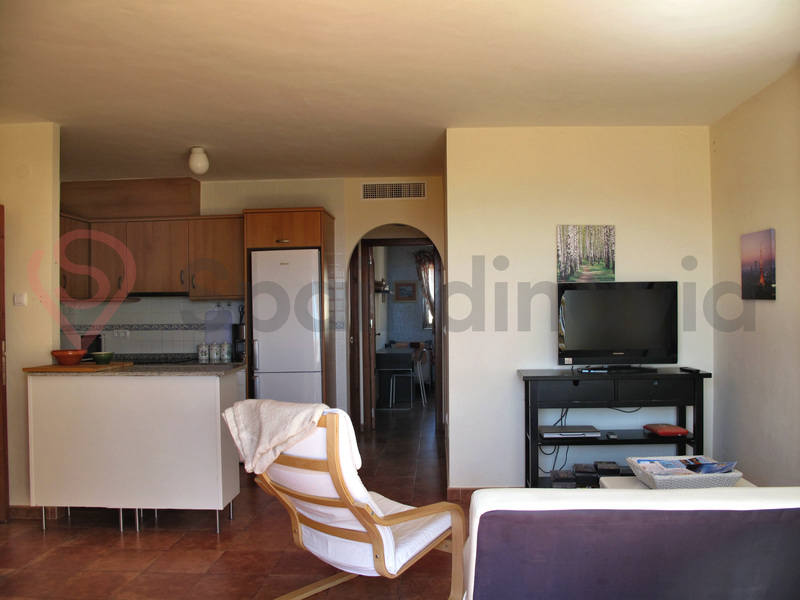 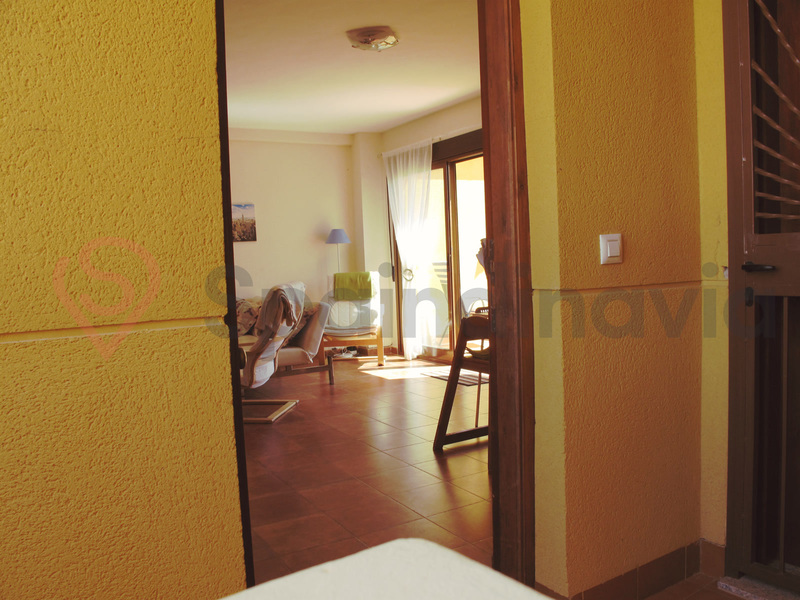 The apartment consists of two bedrooms, a bathroom, living room and open kitchen. 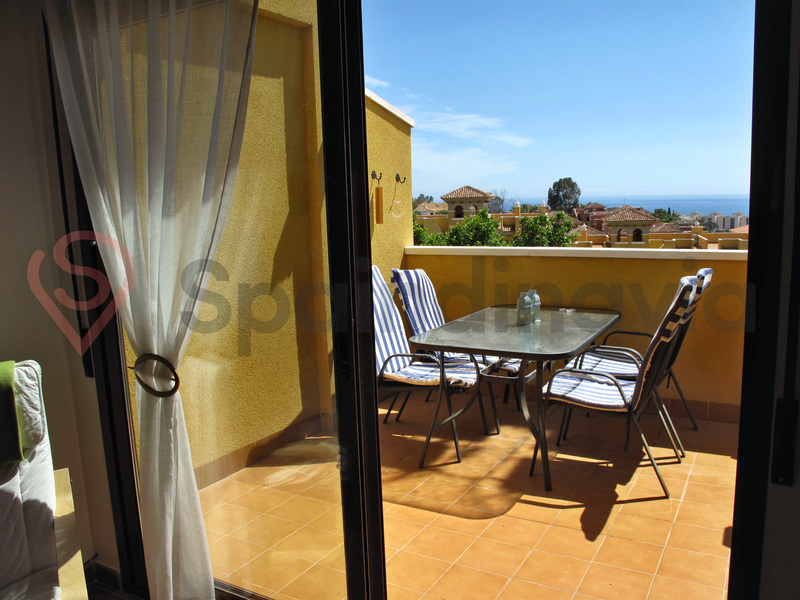 From the living room you have very generous sliding doors out to the 15 sqm large balcony, where you have stunning views over the pool area and the sea. 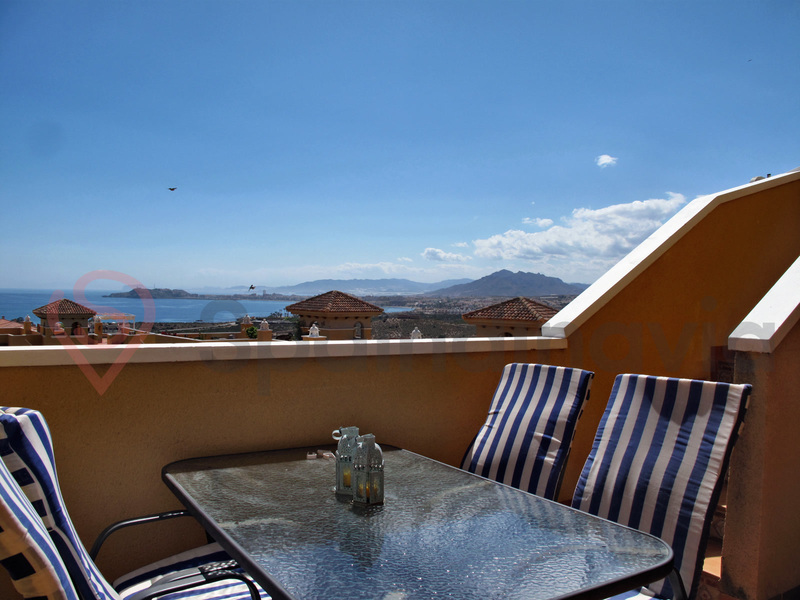 From the balcony you have a staircase leading up to your private roof terrace of 55 sqm, where you are treated to an exceptional view over Mazarron Bay, sea, mountains and La Azohia Isla Plana and Puerto de Mazarrón. 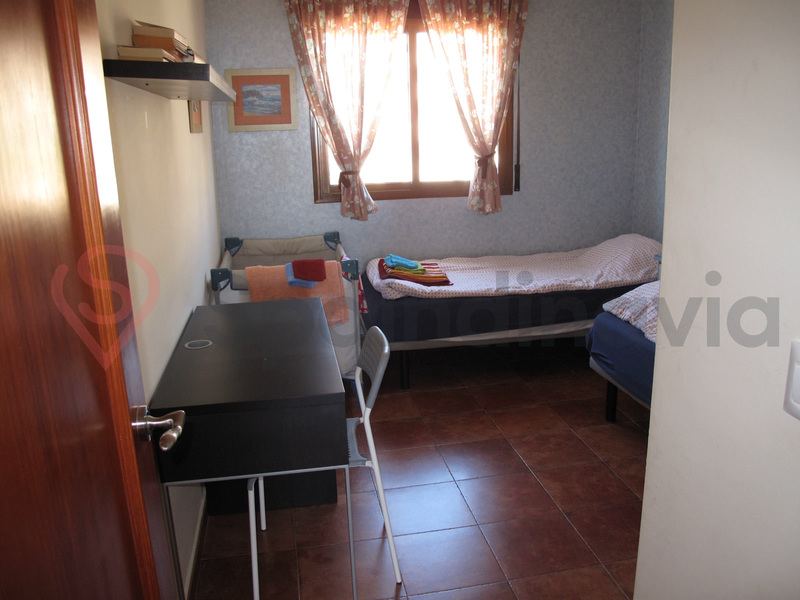 The bright bedrooms have fitted wardrobes and space for double beds. 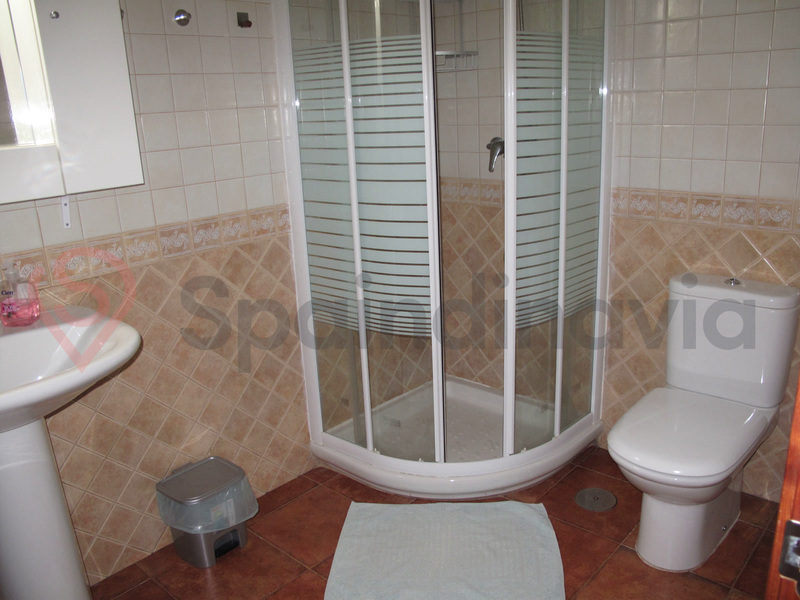 The spacious bathroom has a shower area and is tiled in bright colors. 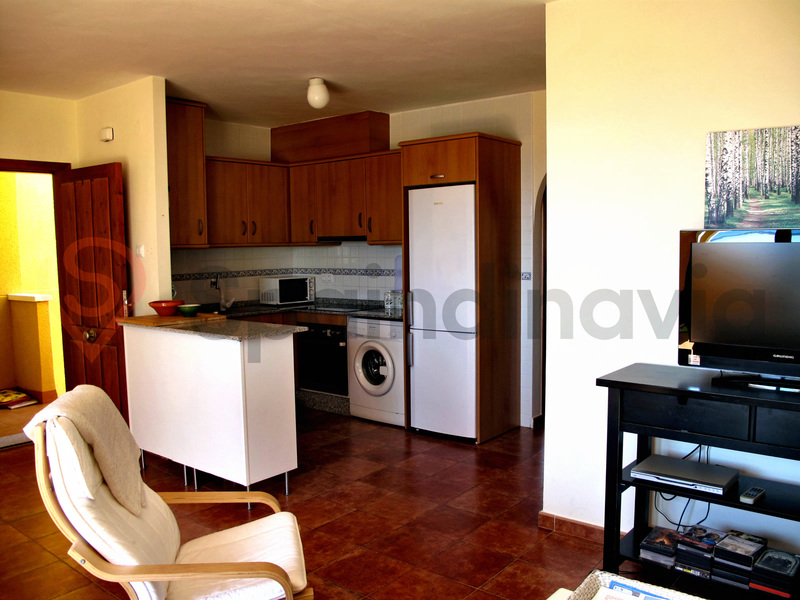 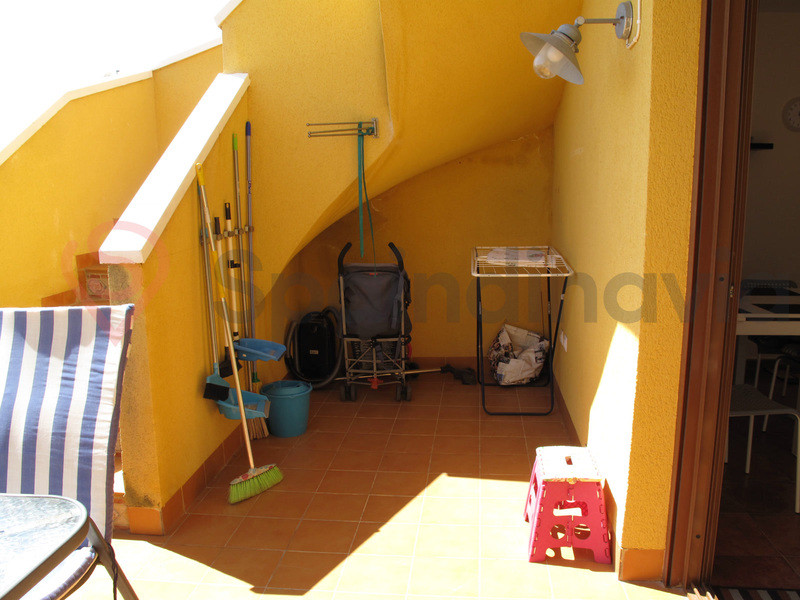 The entire apartment has central hot/ cold airconditioning and is being sold fully furnished and equipped.